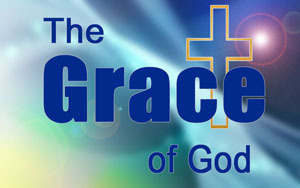 Sermons on Grace is a topical sermon that looks at the Grace of God. It asks a very important question: Is the Grace of God Sufficient? Is the Grace of God sufficient to save me from my sin? "For by grace you have been saved through faith, and that not of yourselves; it is the gift of God, not of works, lest anyone should boast" (NKJV Ephesians 2:8-9). Is the Grace of God Sufficient? Question: Do you know for certain that you are going to heaven? Are you 100% sure? Suppose you were to die tonight and you stood before God in heaven and He asked you, "Why should I let you into My heaven?" What would be your reply? There are only two answers to that question...the right answer or the wrong answer. A. Many people try to get right with God by good works. I have lived a good life. I have never killed anyone. I have never stolen anything. I read the Bible most days. I pray regularly and I go to church regularly. I have been baptised, confirmed, and take holy communion. B. None of these works will qualify us for heaven. Isaiah 64:5b-6 says, "You are indeed angry, for we have sinned--in these ways we continue; and we need to be saved. But we are all like an unclean thing, and all our righteousnesses are like filthy rags; we all fade as a leaf, and our iniquities, like the wind, have taken us away." Our good works are like filthy rags...these works will not qualify us for heaven. Matthew 7:20-23 says, "Not everyone who says to Me, Lord, Lord, shall enter the kingdom of heaven, but he who does the will of My Father in heaven. Many will say to Me in that day, Lord, Lord, have we not prophesied in Your name, cast out demons in Your name, and done many wonders in Your name? And then I will declare to them, I never knew you; depart from Me, you who practice lawlessness!" Good works will not qualify us for heaven. C. Why can’t good works qualify us for heaven? God’s standard is perfection and by this standard we all fail. Romans 3:23 says, "for all have sinned and fall short of the glory of God." This is why no-one qualifies for heaven by good works. The real problem lies within. Jesus said, "What comes out of a man is what makes him unclean. For from within, out of men's hearts, come evil thoughts, sexual immorality, theft, murder, adultery, greed, malice, deceit, lewdness, envy, slander, arrogance and folly. All these evils come from inside and make a man unclean" (Mark 7:20-23). Sin is not just a matter of doing, or saying, or even thinking wrong things...this is only the outward expression of sin...these things are only symptoms of the root problem SIN. Jesus said that sin comes from within, "out of the heart come all the evil things." Jeremiah 17:9, "The heart is deceitful above all things, and desperately wicked; who can know it?" We literally have a heart problem. Our heart is in rebellion against God and doing a few good works will not cure the problem of sin and disqualification from heaven. D. When did this problem begin? It began with Adam and Eve (Genesis 2:16-17). Then it (sin nature) was transferred to us at birth (Romans 5:12; Psalm 51:5). We are not sinners by choice, but we are sinners by birth. Salvation by Grace is based upon what Christ has done on our behalf. A. Salvation is by grace through faith alone. Salvation is by grace alone. It is the finished work of Christ alone that saves us. We cannot do one thing because God has done it all in Jesus Christ. Jesus paid the penalty for sin by dying on the Cross of Calvary and He rose again to give new life. Salvation is through faith. Faith is the means by which we appropriate salvation (Hebrews 11:6). The basis of salvation is grace, but the means is through faith. What is faith? Faith is trusting what God has done to be sufficient. That is, trusting in Jesus Christ's finished work on the Cross of Calvary. B. Salvation is not of ourselves, but a gift of God. The Bible says, "...that not of yourself; it is a gift of God" (Ephesians 2:8b). Grace is unearned--it is a gift of God. Faith cannot be invoked. It is not something that I can conjure up. That is, within myself I cannot make it happen--it is a gift of God. Faith must be exercised...we are responsible for what God has given to us. Jesus Himself said, "You search the Scripture, for in them you think you have eternal life; and these are they which testify of Me. But you are not willing to come to Me that you may have life" (John 5:39). C. Salvation is God’s workmanship. It is God who worked all this. The Bible says, "For we are his workmanship, created in Christ Jesus for good works, which God prepared beforehand that we should walk in them" (Ephesians 2:10). There are two reasons why salvation is God’s workmanship. They are: it is not from man, and it is not by man's works. Salvation is unto good works. If salvation is a free gift, doesn’t this mean that I can live any kind of life I like, and then so long as I believe, God will forgive me. Remember, believers are created in Christ Jesus for good works. In short, we are ambassadors for Christ. These works are works which God prepared in advance for us to walk in. Is the Grace of God Sufficient? Absolutely! This sermon on grace is part of a series of sermons that I put together to explain the foundations to Christianity. You can check out the rest of the sermons by clicking on Christian Foundations.